A number of new communications technologies have emerged in recent years that have been largely regarded and intended for personal and recreational use. However, these “conversational technologies” and “constructivist learning tools,” coupled with the power and reach of the Internet, have made them viable choices for both educational learning and knowledge-oriented applications. The technologies given attention in this article include instant messaging (IM), Weblogs (blogs), wikis, and podcasts. 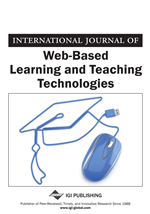 A discussion of the technologies and uses, underlying educational and cognitive psychology theories, and also applications for education and the management of knowledge, are examined in detail. The implications for education, as well as areas for future research are also explored.